Hanoi has made a fine capital for more than a thousand years; through several invasions, occupations, restorations, and name changes. 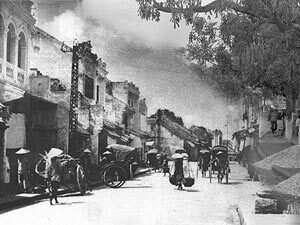 The Nguyen Dynasty gave the city its modern name of Ha Noi in 1831, and in 1887, the French colonists made Hanoi the capital of all Indochina. It changed hands again in 1954 and, when it was ceded to Ho Chi Minh and the Viet Minh after almost a decade of fighting, it became the capital of North Vietnam. Upon reunification in 1975, it assumed that title for the entire country. Its post reunification history has been one of growth and progress and till today it retains the most unique feel of all the cities in Vietnam.